Searching for a good clip of a car’s exhaust or engine note can be difficult. With so many YouTube car channels and car reviewers overlaying their videos with voiceovers or music, coming across a raw, unedited clip of a sports car just driving can be refreshingly pleasant. It’s time to send your thanks over to the media department at General Motors, because the automaker has filmed and spliced together an epic b-roll video to promote the 2019 Corvette ZR1 and its banzai 755 hp 6.2-liter supercharged LT5 engine. This clip is pretty simple and straightforward, containing clips of the 2019 Corvette ZR1 driving hard and cruising on both the street and track. There’s no annoying techno music or self-obsessed car reviewer to ruin the epic V8 soundtrack, either – this is video is all about that unadulterated Small Block sound. As an added bonus, the track used for filming was Road Atlanta, one of our favourite race tracks here at GM Authority and easily one of the best tracks in North America. Chevrolet claims the 2019 Corvette ZR1 will accelerate from 0-60 mph in about three seconds and 0-100 mph in six seconds flat. It will also turn in a 10.6s quarter-mile time at 135.91 mph and if given enough room, will top out at a head spinning 212 mph. The high-performance Corvette also benefits from an available aero kit with a massive rear wing, optional Michelin Pilot Sport Cup 2 tires, huge carbon ceramic brakes, MagneRide suspension and other high-performance equipment. Sales of the 2019 Corvette ZR1 are slated to begin in the spring, with prices starting at $119,995 for the base model coupe and $123,995 for the base convertible. 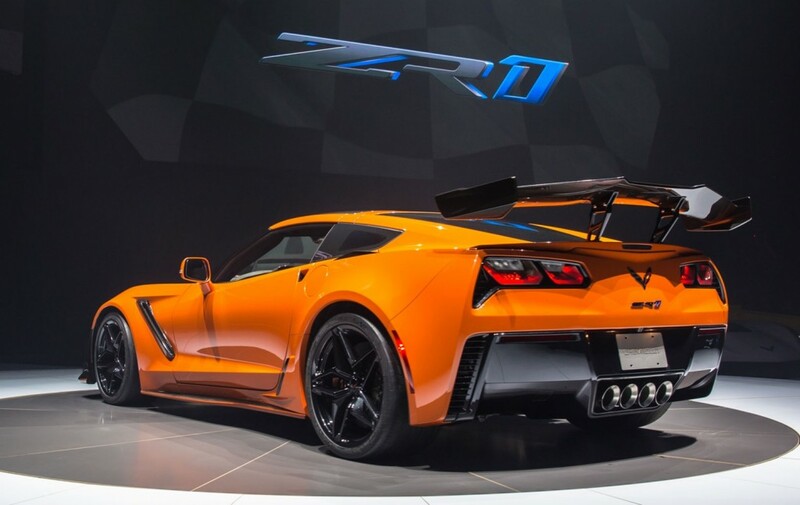 It’s not clear how long the C7 ZR1 will be available for, with the C8 mid engine Corvette expected to debut sometime later this year before going on sale in 2020. Rumors allege the C7 and C8 Corvettes will be sold alongside each other, with GM implementing a two-model approach for the Corvette name, although this remains a rumor at this time.